Long-time readers of the Compass know all about Kenny Smith. He works for Sunergos Coffee, which has been featured in multiple posts. We’ve also utilized his well-defined palate for several reviews, including our only non-coffee post. But perhaps Kenny is best known for being really awesome at latte art. 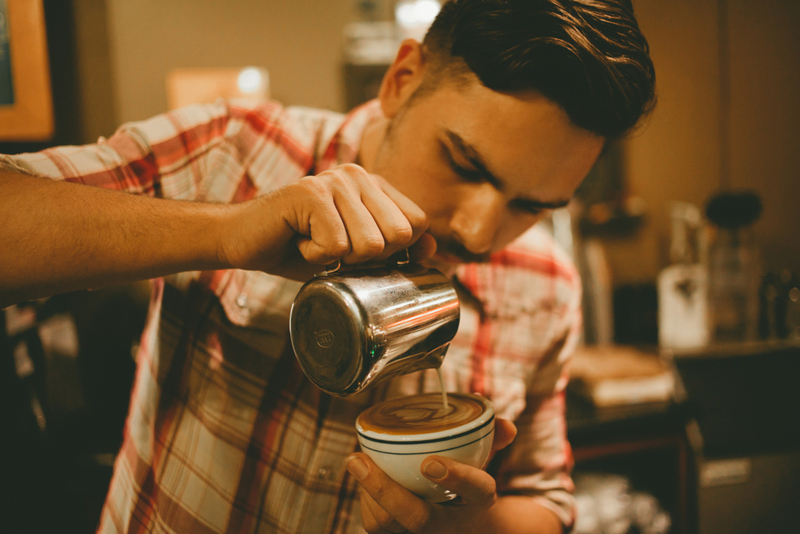 Cabell Tice shocked the competitive latte art world when he won the Latte Art World Championship Open at CoffeeFest, NYC as a first time competitor. We sat down (digitally) with the reigning champ and asked him a few questions about latte art, being a barista, and where to drink coffee in Bean Town. You won the Latte Art World Championship Open your first time competing. Did you expect that would happen? What’s it like pouring latte art in those kinds of conditions?